It’s standardized testing season! I am sure you and your students are so excited! (or perhaps not) No matter what your feelings, they are a requirement. Since students test in groups, there are bound to be some students who finish earlier than others. We found out this year that students cannot read when they are finished, so what to do during all of that quiet time? Here’s a list of 20 activities that can be completed by an individual student while seated silently. Hopefully it will help your students think of ways to amuse themselves and to realize that they can find creative things to do amid silence. Make a mental list of your five favorite words. Why are these words your favorite? Ponder the memories that are attached to each word. How’s the chair feeling? Imagine the perfect school chair. Design it in your mind. What makes it the perfect chair? Stop and think about the sensations in your right big toe. What is that toe feeling? Did you have to move it to feel it? Continue the process feeling each of your toes on both feet. Eye games! Stare at a spot on the wall, table, board, etc. Count how long you can keep your eyes open without blinking. Close your right eye. Count how long you can keep it closed. Repeat with your left eye. For all eye games, repeat each day and try to beat your best time! Leg stretches. Extend your right leg out in front of you. Extend your ankle out and hold for 10 seconds. Flex your ankle back and hold for 10 seconds. Rotate your ankle clockwise for 10 seconds. Rotate your ankle counterclockwise for 10 seconds. Place your foot back on the ground. Repeat all exercises for your left leg. Take a visual tour of your classroom. Imagine how you would arrange the furniture if you were the teacher. Count how many times your teacher walks by your desk. Create a mental palace (a la Sherlock Holmes). What does it look like? Where is it? Now, start storing important information in different rooms of your palace. Take a beach vacation. Close your eyes and feel the sun on your skin. Hear the waves crash in and the birds call above. Squish your toes in the imaginary sand. Relax and breath. Just breathe! Take in a deep breath through your nose and fill up your lungs while counting to 10. You should feel this all the way into your diaphragm. Slowly exhale while counting to 10. Repeat the breathing exercises 10 times. Pretend you and your classmates are the first people on the voyage to Mars. Everyone else is in stasis, and you are the only person awake. The space ship is silent except for the roar of the engines. What thoughts are going through your head? Life Goal List (aka Bucket List): Start brainstorming a mental list of must-do activities over the course of your life. What things do you really want to do? 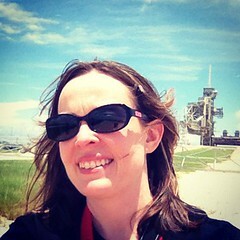 See a rocket launch, watch the aurora, go to college, and visit exotic locations around the world are just a few ideas. Brainstorm a list of titles that would work for your autobiography or a movie about your life. Design the perfect school day. Think about how long it would last, what classes you would go to, what the schedule would look like, etc. Count how many people are in your class. Calculate in your head how many fingers, toes, hands, feet, etc. are in the classroom at that given time. What test did you take today? Reading, science, social studies, math? Whatever test you took,assign a vocabulary term for each person in your class that you think they most identify with. On math day, you could assign each person a shape (a very complex person may be a dodecahedron, for instance). On science day, you could decide what each person is most like that you studied that year (planet, rock, plate boundary – and be specific). Tell a story. Use your imagination to start writing a story in your head. Will it be a novel, a play, nonfiction? You decide! Have fun. Counting games: see how high you can count until everyone is done testing for the day. On the first day, count by 1’s, on the second day, count by 2’s, on the third day, county by prime numbers, on the fourth day, county by squares, and on the final day, count by fives (you’ll be tired!). Or if you prefer, choose your favorite counting method each day. 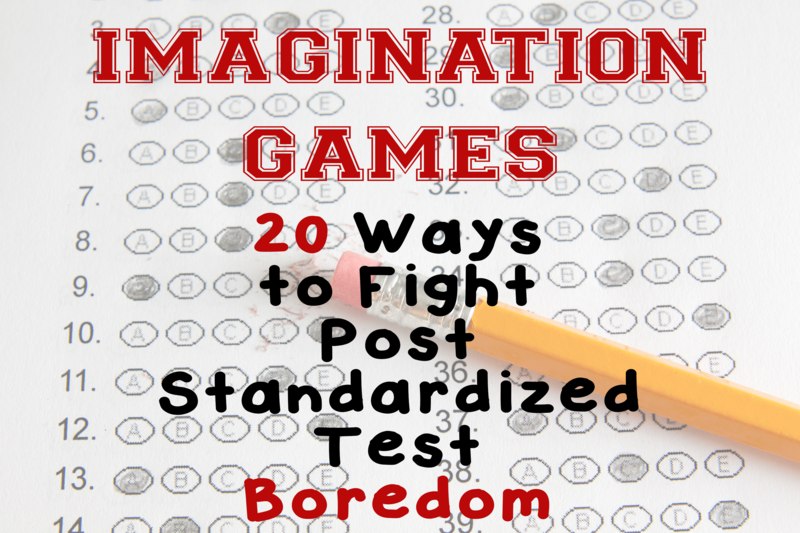 These ideas are inspired by this awesome post “16 Things You Can Do While Actively Monitoring During Standardized Testing” at the Love, Teach blog. The post is both amusing and gives some great ideas of what to do to occupy your mind while moving around the classroom actively monitoring your students during testing. Hopefully these two lists will help you both you and your students occupied during testing! im at 5,478. thanks for that. Earth Science with Mrs. Wilson » How can I be prepared for the science CRCT?